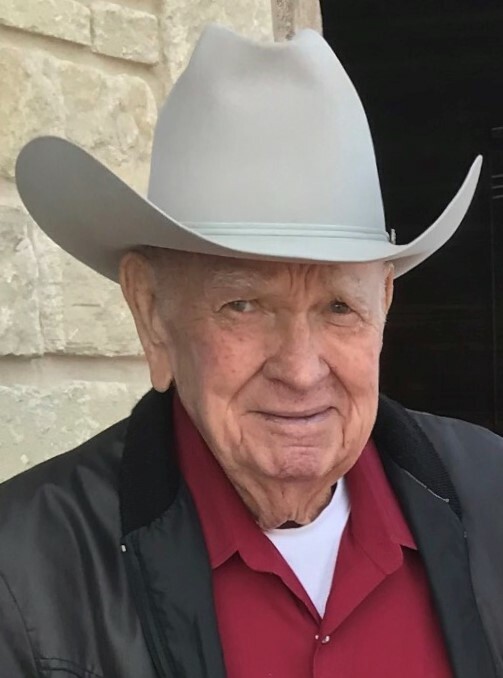 Charles Eugene “Gene” Davis passed away on Sunday, April 14, 2019, at the age of 86. Gene was born on October 20, 1932, in Alma, Oklahoma to Spence Davis and Leona “Foster” Lasenberry. A memorial service is scheduled for Thursday, April 18, at 11:00 A.M. at the Velma Baptist Church with Rev. Jeremy Higle and Rev. Roland Barrick officiating. Cremation arrangements have been entrusted to Whitt Funeral Home. He worked as a deputy sheriff in Pinal County, Arizona in the late 1950. This is where he met and married his wife of 58 years, Edna Farrell Davis, on February 16, 1961. During his life he worked for many oil companies and on several cattle ranches. In 1978 he started D&D Construction and was the owner until his retirement in 1997. From 1979-1992, he served as chairman for the Old Settlers Picnic committee, along with Loyd Ely and Charlie Foster. In 1999 he was named a Living Legend at the picnic. He enjoyed attending rodeos and work with horses and cattle. He loved to drink Coca-Cola. Survivors include his wife, Edna Davis of the home; sister-in-law, Alma Farrell of Maricopa, Arizona; daughter and son-in-law, Caren and KD Eason of Velma; daughter and son-in-law, Lenora and Tom Saville of Velma; son and daughter-in-law, Charlie and Belinda Davis of Velma; daughter and son-in-law, Dawn and David Allred of Velma; a special great-niece, Karla Clapper of Marana, Arizona; twelve grandchildren and spouses, Brad and Allison Eason, Kendra and Blake Smith; Trey and Tiffany Eason, Kylee Saville, Aaron Saville, Jace Saville, Joseph Davis, Isabella Davis, Sophia Davis, Hillary Tivis, Jake McGuire, and Olivia McGuire; six great-grandchildren, Kolin, Parker and Gabriella Smith, Paisley and Landry Eason, and Thea Eason; nephew, Edward Farrell; two nieces, Claudia Jeffery and Jocelyn Parks; as well as many friends and extended family. He was preceded in death by his parents; father-in-law and mother-in-law, Edward J. and Lenora Farrell; sister and husband, Clydell and Johnny Dale; step-father, Bea Lasenberry; step-mother, Lelia Davis; and brother-in-law, Eddie Farrell. Memorial contributions can be made in Gene’s name to the Velma Old Settlers Picnic Scholarship Fund, c/o First National Bank of Velma, attention Pam Norton.